Idukki district in Kerala is a tourist heaven with many world famous destinations like Munnar and Thekkady. Asia’s first arch dam is located at Idukki, near the district headquarters Painavu. Some of the best national parks and wild life sanctuaries of India are also located in Idukki. 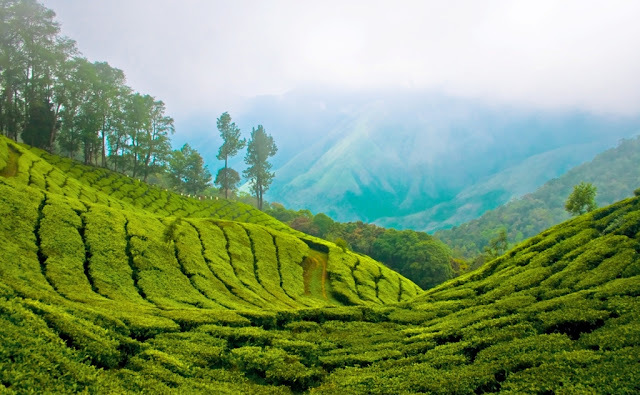 Different parts of the Western Ghat passing through Idukki offers a lot of trekking opportunities and houses some of the finest and oldest tea estates in India. It is not easy to cover Idukki within a few days; however here is a 10 days itinerary to cover all the major attractions of Idukki district. The itinerary starts from the famous Munnar and concludes at the Idukki arch dam. The itinerary is suggestive and customizable as per your time and other resources. I would like to share a word of caution applicable to Idukki – the terrain is mostly hilly and rocky, hence due care must be taken when ascending and descending the hills. I usually plan my trips in such a way that I reach the destination in the evening and get a good night sleep before the adventures start on the next day. In case if you reach early in the morning, make sure your body gets enough rest as the destinations of Idukki demands energy and enthusiasm. If you reach Munnar by evening, you can put yourself up at a good hotel or a resort. Eravikulam national park is located around 7.5km from Munnar. 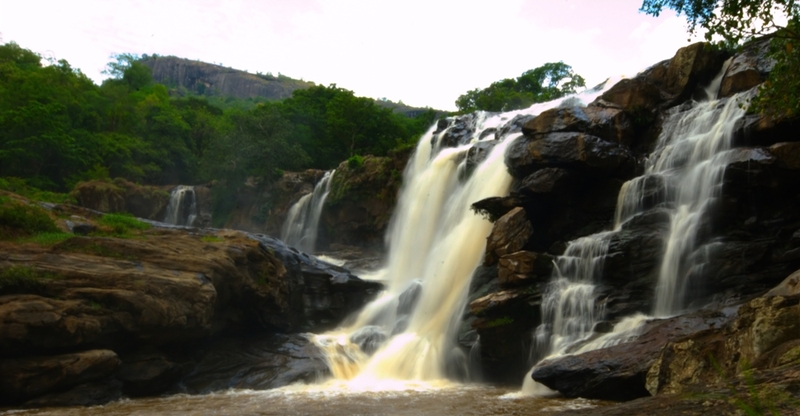 It is the first national park in Kerala and has many distinctive attractions. 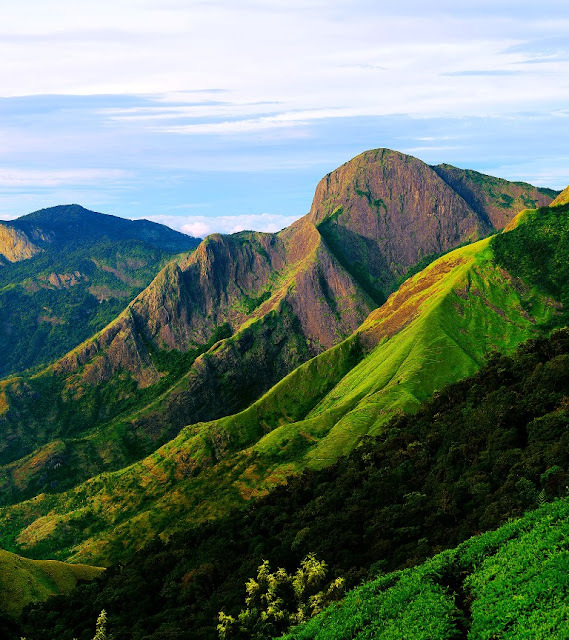 The tallest peak in the south India, Anamudi(8,133 ft) is located within this national park. 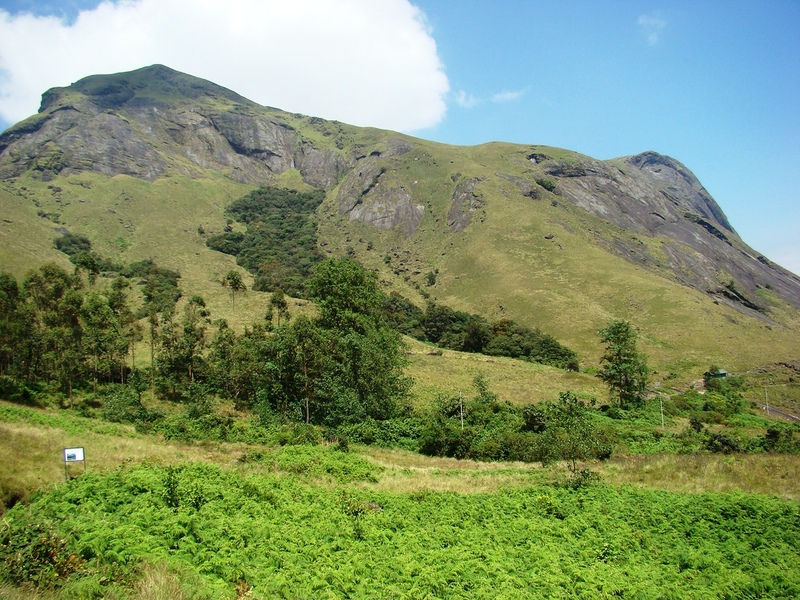 A trek to Anamudi requires special permission; however one can have a nice view of the peak from the national park. Anamudi kerala by Jiths - Anamudi. Licensed under CC BY 2.0 via Wikimedia Commons. 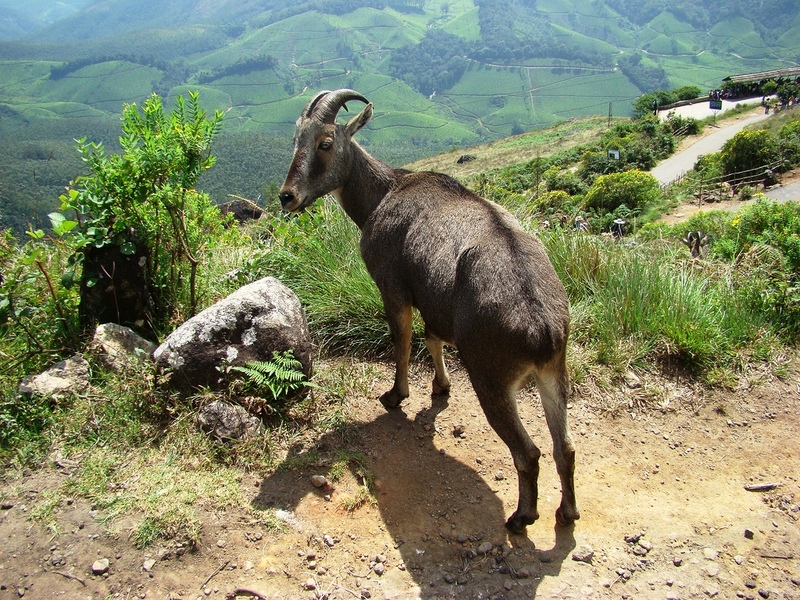 Eravikulam is famous for its exotic flora and fauna. The Nilgiri Thar is one of the endangered species that can be spotted within the park. 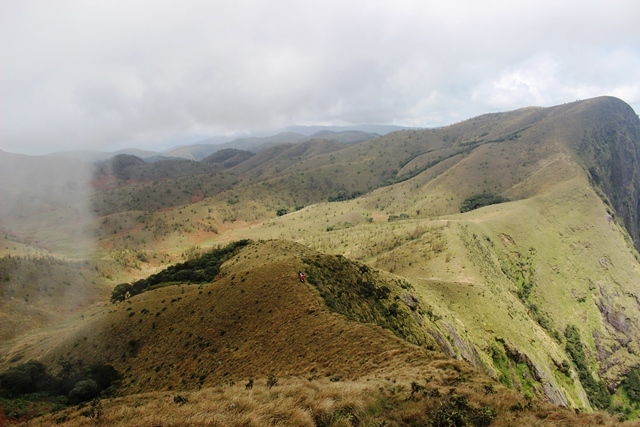 Eravikulam park has mixed topography with interlaced high grass lands and Shola forests. The park was initially in the procession of Kannan Devan Tea plantations and later acquired by government in 1971 to convert it into a national park. Another striking attraction of Eravikulam national park is the blooming of Neelakurunji, a flowering shrub which covers the valley once in every 12 years. The last blooming was spotted in 2006. 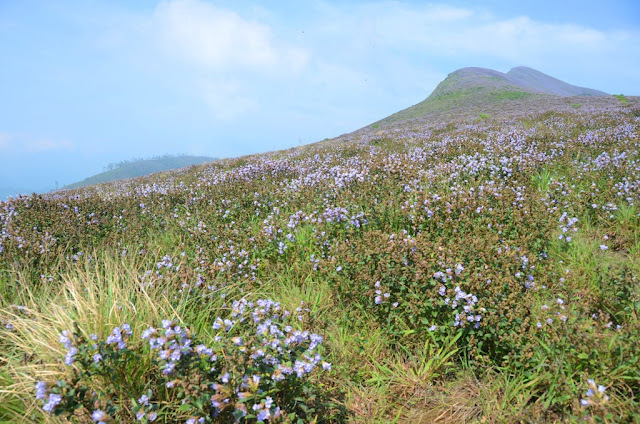 Park also offers a Kurunji trek when it is in bloom, where one can trek through the mist covered trails relishing the blue carpet of Kurunji flowers all around. Private vehicles are not allowed inside the park, hence tourist must use the transportation arranged by the park. There are also option of short treks within the park which offers beautiful view of the tea plantations and valleys below it. From Munnar, it is a 7.5km drive to the National park through the Munnar-Udumalpet road. Please note that the National park is closed during February and March. When it is open, there would be quite a long queue to get the entry tickets into the park. Hence it is utmost important to reach the Park by 8:30am at least so that you can have a complete experience. Issue of tickets ends at 4:00pm. 9:00am Entering the national Park -From the entrance of the National park, there will be mini buses of the park which will take you for a half an hour trip around the park. 10:00am Reaching the visitors center at National Park - The end of the ride will drop you at a small visitor’s area, where minimal refreshments are available. From there visitors can choose to trek 1.3km to a vantage point. 12:30 noon – Leave the Eravikulam National Park and Reaching Munnar. Day 1: Afternoon – Local sightseeing – Visit the Kannan Devan Tea Museum located at 1.4km from Munnar. 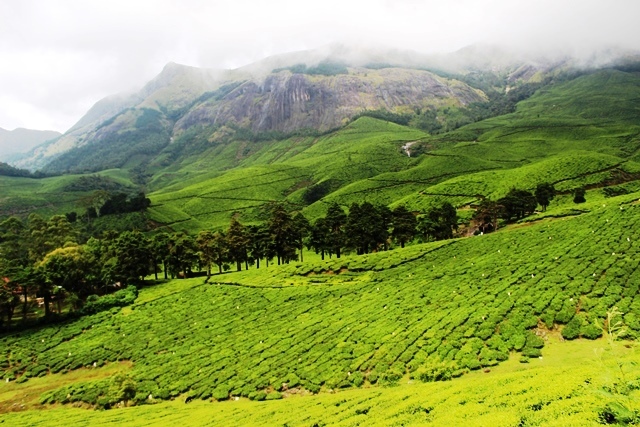 Devikulam is a hill station situated at 5km from Munnar. There are multiple tourist attractions around Devikulam. The view of the tea plantations from the hills is mesmerizing. There is a Sita Devi Lake and temple near Devikulam. The lake has a legend related to Goddess Sita. During their exile as depicted in Ramayana, Sita has taken a bath at this lake. In Malayalam “Kulam” mean Pond and “Devi” mean Goddess. Hence this place would have obtained its name from this legend itself. There are multiple viewpoints near Devikulam. One of the major view points in Devikulam is known as the “Photo Point”. 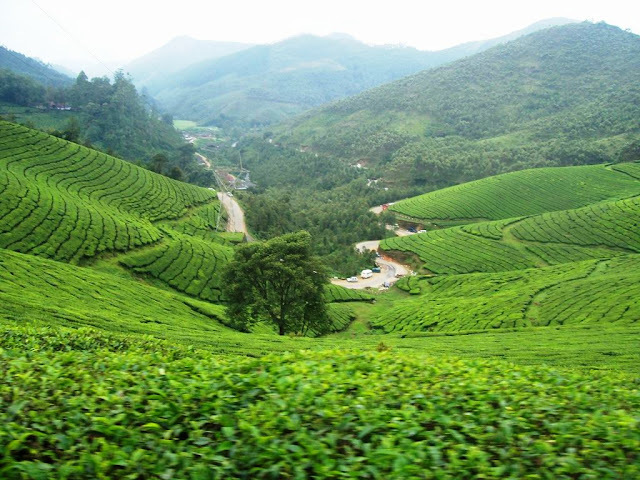 As the name suggests, it is an ideal location for capturing the beauty of the tea plantations and distant hills. "Tea-Plantations-devikulam" by Ben3john - Own work. Licensed under CC BY-SA 3.0 via Wikimedia Commons. Mattupetty is a small village near Devikulam. 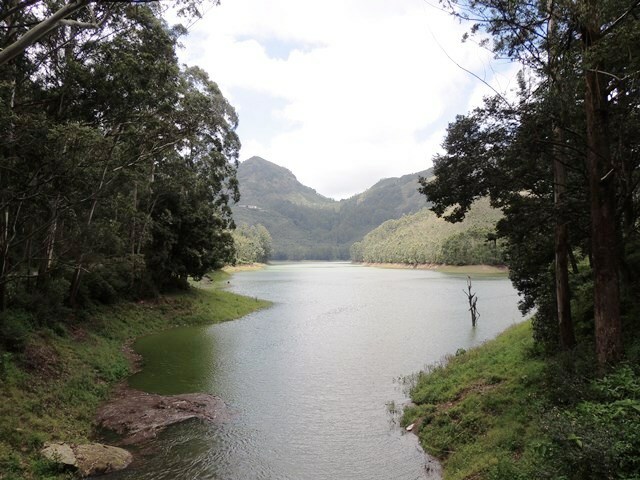 Mattupetty dam and lake are located just 7km away from Devikulam and 13km from Munnar. The lake near the Mattupetty dam is like a mirror that reflects the forests on both sides. Tourism departments offers boating activities in the Mattupetty dam site. Mattupetty is also well known for the cattle farms as a part of Indo-Swiss cattle farming project. These farms are situated 3km away from the dam. From the dam few kilometers away, there is a scenic spot called “echo point”. There is a queer acoustics property to this place. If you call out from one bank of the echo point, the sound reflects multiple times. Even though its fun to experiment this, usually there would be a large crowd trying to experiment the same at this place. If you go early in the morning, you might get a better chance of experiencing the echo effect. Around 8km from the Echo point, there is a nice lake known as the “Kundala Lake”. One can do boating in the Kundala lake, or enjoy some quiet time its banks. There are three types of boating activities including Kashmir Shikkara boats, row boat and pedal boat. 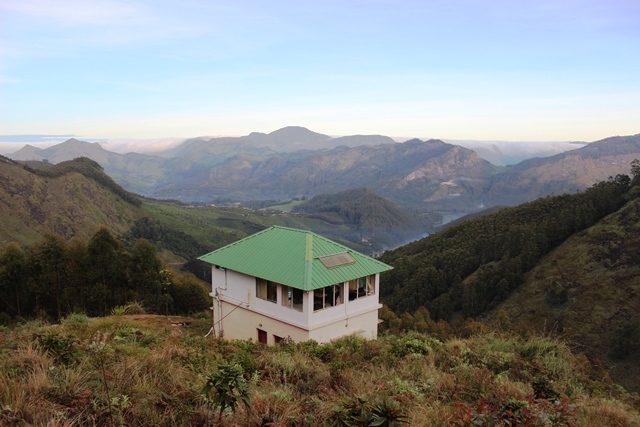 Top station as the name suggests, is the highest point of Idukki district. The altitude is 6168 feet above the ground level. Top station offers a scenic view of the Western Ghats. Standing on the top station, you can feel the clouds floating around your feet. There are frequent buses from Munnar to top station. 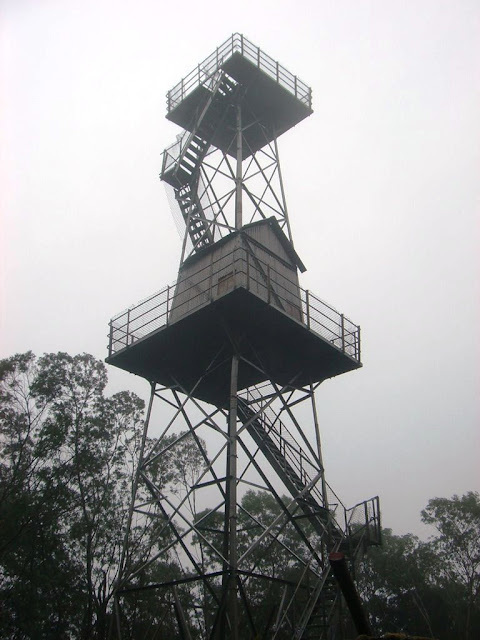 Marayoor is a dense forest area, located at 34km from top station. Marayoor is famous for its sandalwood forests. In addition to its thick and diverse vegetation, Marayoor was also the location of a pre-historic, Stone Age civilization. One can still spot some of the ancient megalithic tombs known as “Muniyara”. There are also ancient rock paintings in the Marayoor area. A trek through the dense Shola forest is an adventitious activity. Pambadum Shola is a biodiversity hot spot located at 35 km from the Munnar. Pambadum Shola has rich diversity of flora and fauna. Many of the endangered species like Nilgiri marten and birds like Nilgiri wood-pigeon, white-bellied shorting, vernal hanging parrot can be spotted in Pambadum Shola.Occasionally, tigers are also spotted in the National Park. Kerala Forest Department arranges guided trekking tour through the Pambadum Shola National park. One needs to obtain prior permission and do arrangements for the same. A word of caution, this activity includes trek for few kilometers through forests, hence one must be prepared for the adventure. Contacts for arranging the trek can be found here . Chinnar wildlife sanctuary is located at 49km from Munnar. Chinnar has a very rich collection of flora and fauna. 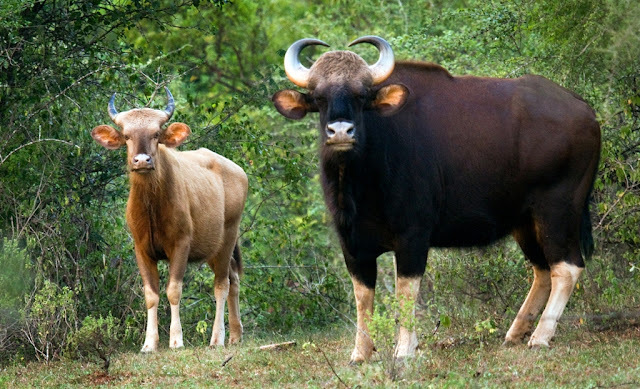 Some of the rare species like the albino bison(guar), spotted deer, Panthers and Nilgiri Thar can be spotted in the Chinnar wild life sanctuary. by N A Nazeer" Copyright © N. A. Naseer / www.nilgirimarten.com / naseerart@gmail.com. Licensed under CC BY-SA 2.5 in via Wikimedia Commons. There are many trekking programs conducted jointly by the Kerala forest and tourism departments. Some of the trekking trails include a 3 hours trek along the banks of the Chinnar river covering watch tower, Thoovanam waterfalls and the monolithic remnants of Marayoor. The base camp of Meesappulimala is located at silent valley, and from Munnar one can get Jeeps arranged to take you to the silent valley base camp. The sky cottage located in a very secluded place however there was no issue reported yet. 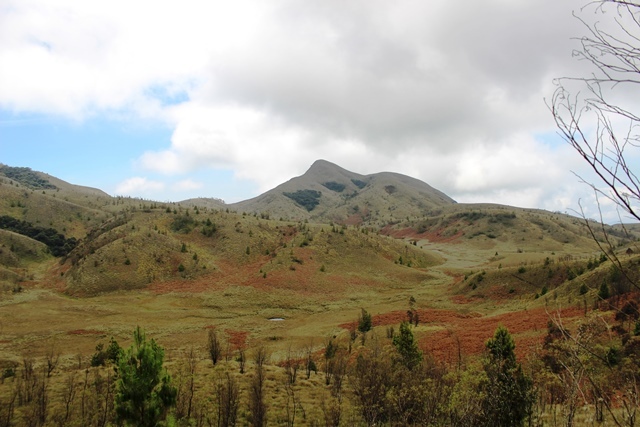 Meesappulimala trek is a hard one, covering almost 25 kilometers in two and fro. Again the word of caution - be prepared for adventure and make sure you take extreme care while ascending and descending. Kolukkumalai is the highest organic tea plantations and factory in the world. 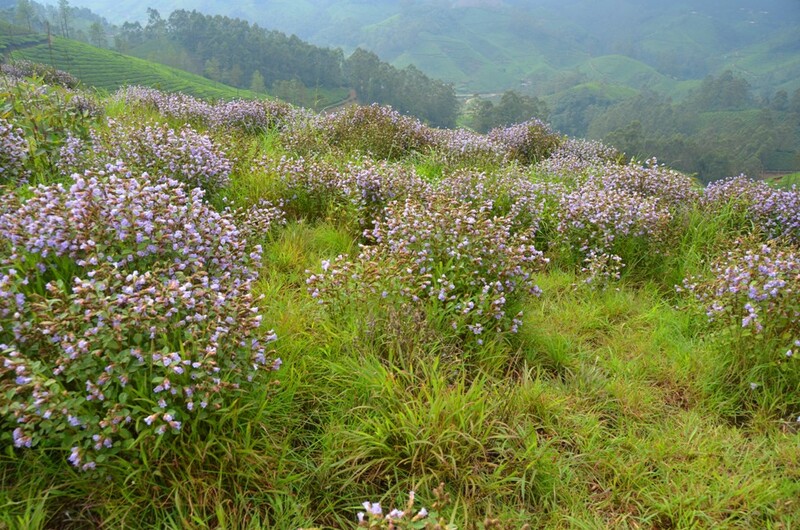 It is situated at 31km from Munnar. Kolukkumalai peak stands at a tall 8000 feet however visitors are allowed to trek through only 7~ km. The peak of Kolukkumalai is in Tamilnadu state, however to reach the peak the best track is through Kerala. There is a Jeep trail to the peak of Kolukkumalai. One can go on a bike trip as well. As we trek by foot through the narrow trails of the tea plantation, we can see the valleys all around covered by the green turf. 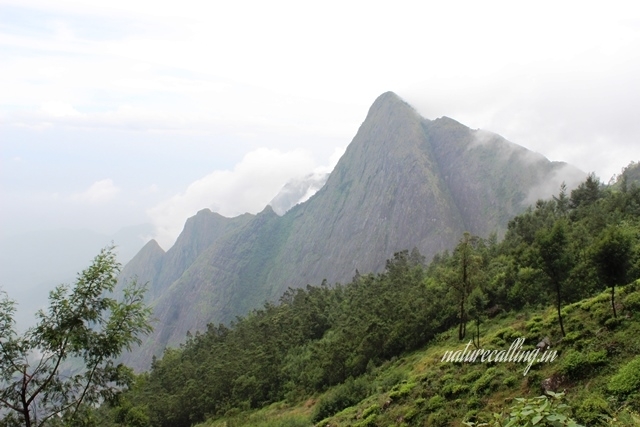 In the Kolukkumalai trek, we follow a track which is covered by the hills on every side. When you reach to the attainable peak of Kolukkumalai, you can see the clouds floating around at your feet. There is also the tea factory, which was established in 1930 and still using the older method of tea production and hence the Kolukkumalai tea estate becomes the tallest organic tea factory in the world. The Kolukkumalai trek would take a complete day for ascent and descent. You can contact the tea estate to get more information about the guide/jeep facility to reach the peak. That was a beautiful blog and I liked the narration. By the way, have you been to Kolukkumalai? Should we book a camping there or can we just go for a casual trek? Have you takes all the images byyour camera, they look similar. I appreciate the hard work you are doing. Awesome work you've got here. I'm a fan of Meesapulimala. The mesmerizing view it gives us is a memory of a lifetime. Keep up the good work. Travel more!